↑ "Chapter 2. The Society and Its Environment" (PDF). 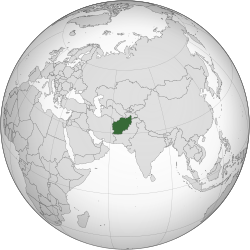 Afghanistan Country Study. Illinois Institute of Technology. pp. 105–06. Retrieved October 12, 2010. ↑ ୨.୦ ୨.୧ ୨.୨ ୨.୩ "Afghanistan". ଅନ୍ତର୍ଜାତୀୟ ଆର୍ଥିକ ଅନୁଷ୍ଛାନ. Retrieved October 8, 2011. ↑ "Gini Index". ବିଶ୍ୱ ବ୍ୟାଙ୍କ୍. Retrieved 2 March 2011.